Dry Eye is a progressive disease, and without appropriate treatment it can worsen over time. A ground-breaking treatment, LipiFlow soothes dry eye symptoms with its revolutionary technology, backed by over 25 years of scientific research, and returns comfort to the lives of millions of people who formerly suffered from severe Dry Eye. The website serves as a multifunctional educational tool about the symptoms and dangers of Dry Eye, offers quick and easy tests to help users determine if they are suffering from the disease. There are also features in which a user can locate an eye doctor near them. 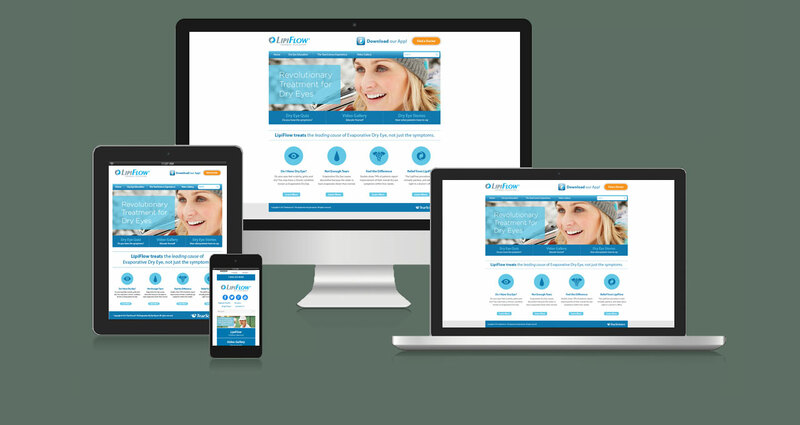 The website’s simple iconography allows users to find the answers they need and maintains the look of Lipiflow’s brand.